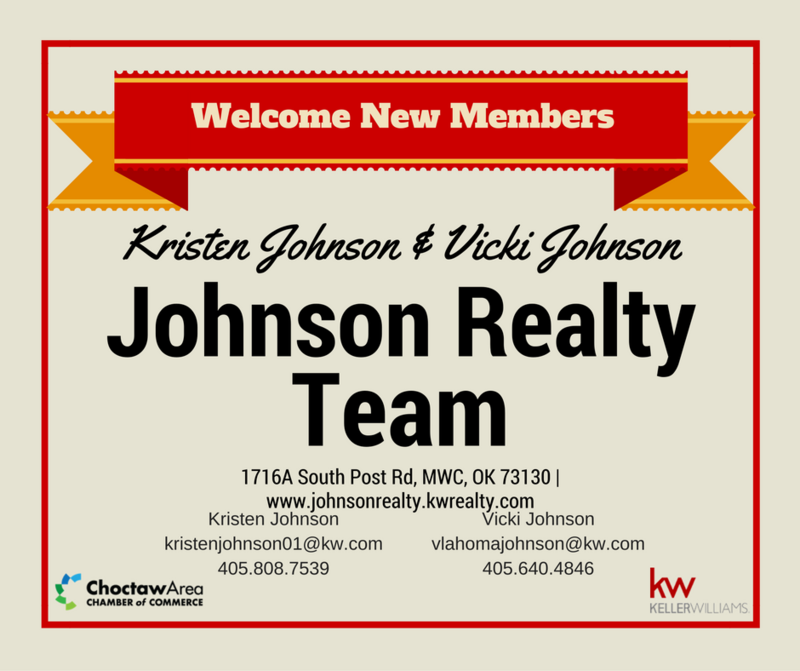 Please join us as we welcome our newest members, Kristen Johnson and Vicki Johnson with Johnson Realty Team in Midwest City. They provide top-notch real estate services to Oklahoma City and surrounding areas under the brokerage of Keller Williams Green Meadow. Call or email them today. We are excited to have Kristen and Vicki on board. Welcome to the Chamber!